Create a unique indoor or outdoor picnic table dining experience. 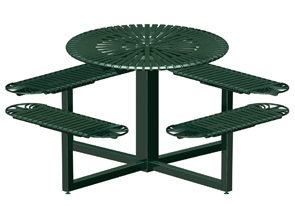 This beautiful and highly durable round powder-coated ribbed steel picnic table is perfect for the café court or college campus. The solid steel construction and powder-coated finish will provide many years of comfort and service. 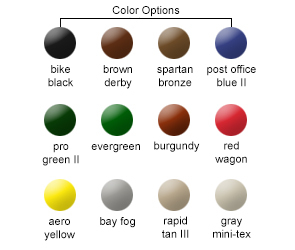 Available in the colors shown below. Some assembly required.